The XC70s increased ground clearance helps with towing, lugging camera gear or transporting 6 occupants cross country. Many well known 4x4 cars share this awd Haldex system, you'll perhaps already know of 4Motion, 4Matic to name a few. Slab sided shoulder design unmistakeable, now bordering on classic. Bumpers that actually allow some bumping, without needing retouching. Sensible. 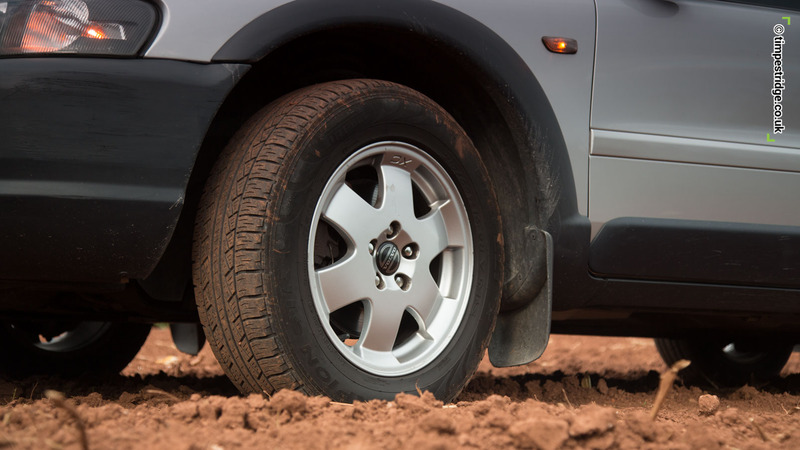 XC70 runs in 2WD mode until it senses wheel slip, and in only a quarter of a rotation all 4 wheels become driven. 80GB iPod now lives in the XC, loaded with films and music. Also, like the baseball stitch heated leather. 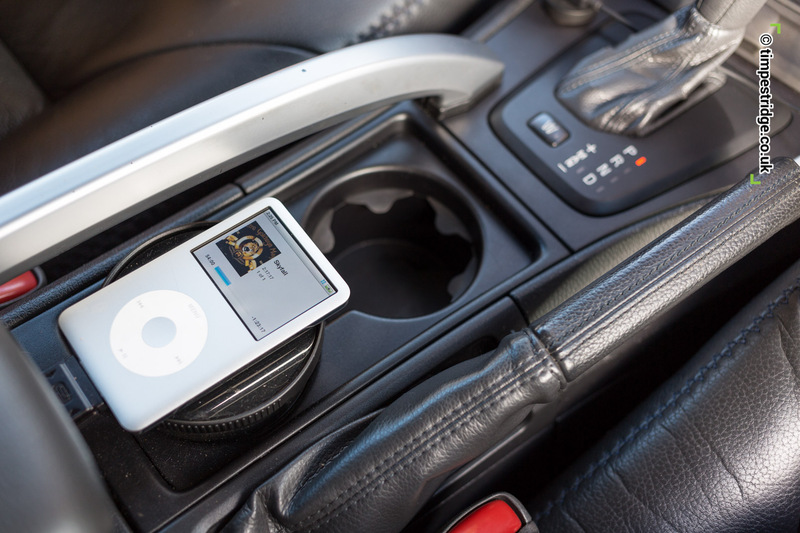 With the addition of imiv box, you can turn the defunct satnav into a cool iPod player for films, music videos and TV. 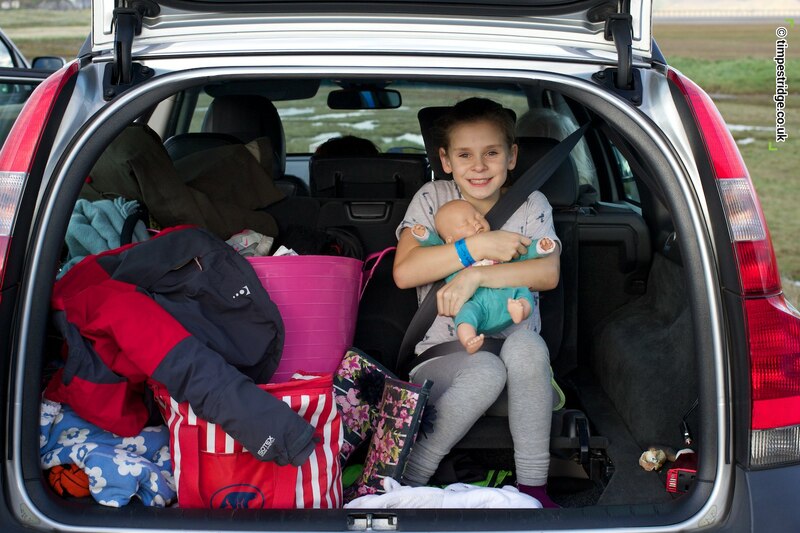 Little people are the perfect size for XC70 rear facing seats. Just don't grow any more, OK? Not looking too shabby, despite 178,000 miles (286,463 kilometres). Still a pleasing design, and a familiar sight on Britain's roads. 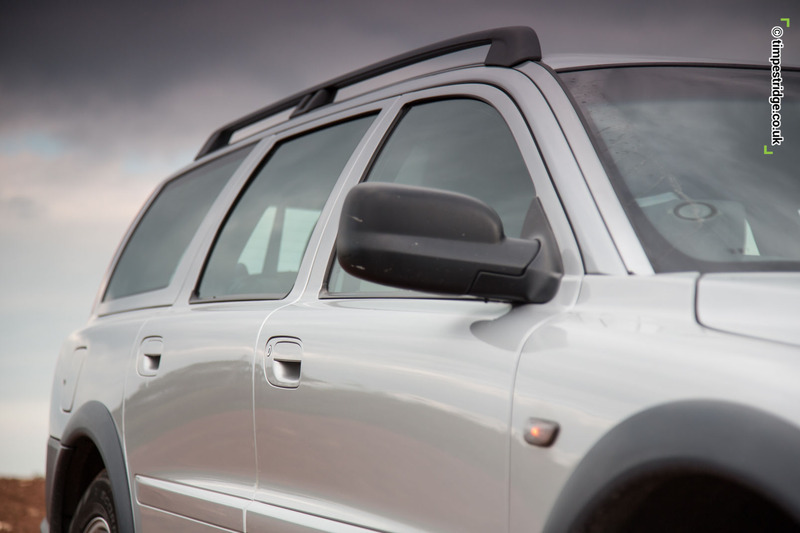 There are some cars which have earned a reputation for being thumping great workhorses, able to take you great distances, in great comfort, for great lengths of time. I put it to you that Volvo's All Wheel Drive XC70 is one such car, and has plenty of virtues that will appeal to old men. And women. And not just old ones. Ahem. You'll not be surprised to learn the XC70 doesn't engage you in a lightning fast driver experience, nor can it promise instant popularity amongst your peers. But I'm of the opinion that once you've been disappointed by other well known marques, you'll soon fall for the XC70's charms. 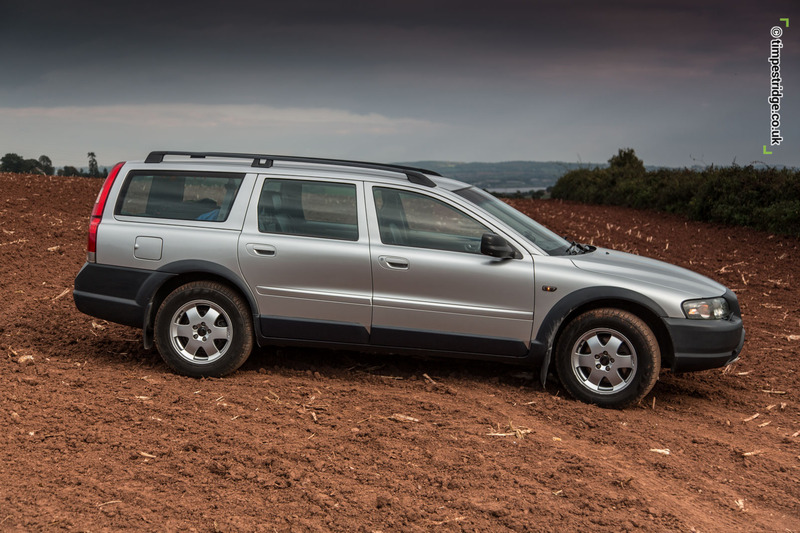 When your Ford or Renault becomes crippled by untraceable electrical problems, or rust appears on your Mercedes, or your bad back simply can't take another minute in your Vauxhall, then, and only then, will you fully appreciate a Volvo. For me, the XC70's quiet, cosseting ride, supremely comfortable driver's seat, old world simplicity, excellent safety record, deep 5 cylinder growl and it's 'go-anywhere' ability light a fire in your belly that's rekindled every time I sink into that sumptuous heated leather seat. I've never owned a car built as solidly as this. And every single time I have to drive, I look forward to it. As a motorcyclist, I've always been drawn to practical, economical cars. Motorbikes (and cycles) give me the adrenalin fix - I want a car that can do everything else; cruise quietly on motorways, tow on holidays, school run with occasional 6 on board (mine's fitted with the dickie seats in the boot), and occasionally drive across a ploughed field for work. That's the XC70 to a tee. This older generation model is pleasantly outdated in many senses, but seems to fit me perfectly, a bit like a well used Chesterfield chair. It also means that prices are comparatively low for so much car - for under £3500 you can own an AWD car with heated leather, Swedish build quality, cruise, 40mpg, hi-fi quality stereo, 5 cylinders, towing equipment and can carry 6 at a push. That makes it for me one of the truly safe used car bargains out there. The effortless power delivery from the 2.4 litre diesel D5 engine (which also forms the basis of many of Volvo's marine engines) is ideally suited to the Geartronic transmission, and makes my daily task of visiting clients premises an awful lot more relaxing. Fuel consumption is consistently around 38-42mpg, although the trip computer will optimistically tell you you're achieving much more. I drive a lot on cruise control, and the engine is more than capable, it's Volvo engineered 5 cylinder motor burbling and rumbling in a very muscular way, not dissimilar to a Subura boxer engine. I love it. I did a lot of research on Volvo's AWD system, and figured that it offers the best drivetrain most of us need most of the time. In essence it delivers the traction to the front two wheels, which is the majority of your everyday driving, but if it senses a slip, in a fraction of a second (a quarter of a wheel rotation) the clever Haldex AWD engages all the wheels. Here's an explanation of AWD as a video (did you know the infamous rally winning Audi Quattro used AWD? ), and a list of cars fitted with Haldex AWD. All this clever driven wheel stuff means that the XC70 is a brilliant tow vehicle, and we used ours in the summer for tugging our folding camper around France, the Volvo still achieving 31-37mpg despite the extra weight. 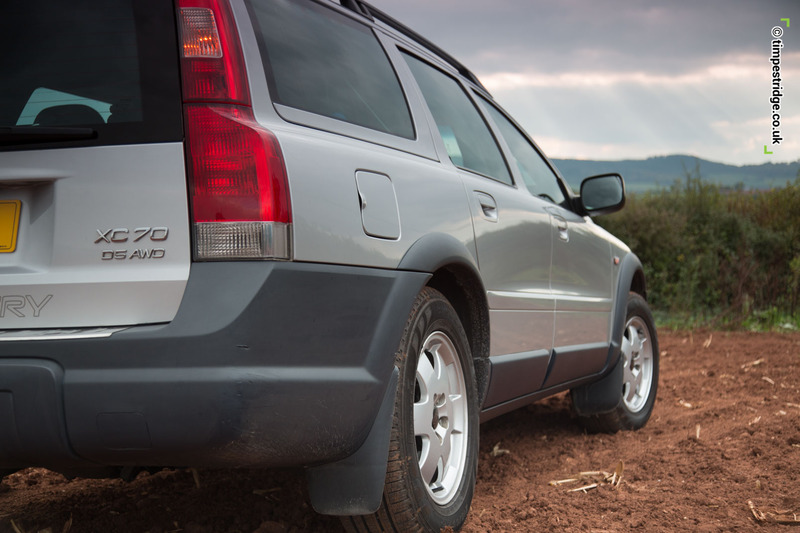 Ground clearance is 20.9cm, which is only 1mm less than a Discovery of the same era, and 1mm more than a Grand Cherokee. And you can teach an old dog new tricks - thanks to Volvotech.EU. 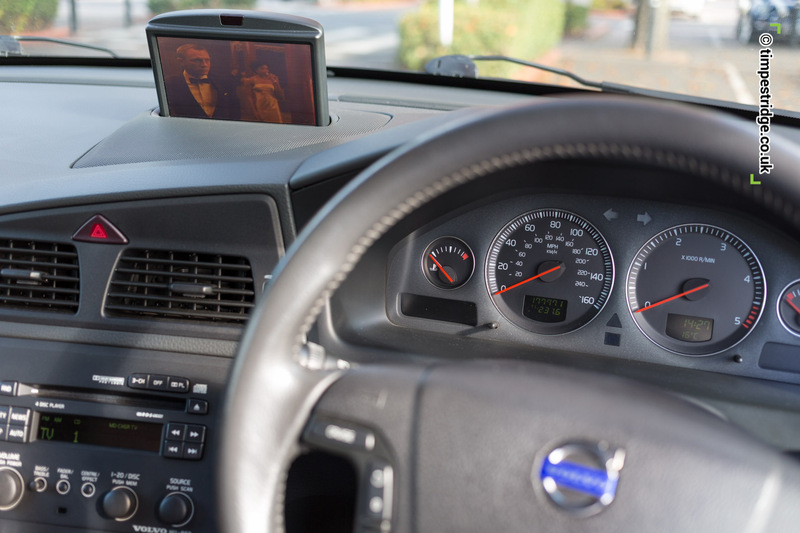 (http://www.volvotech.eu/imiv-classic) I've installed their black box device which not only adds Bluetooth to the XC70s HU-803 home hi-fi quality stereo system, but also enables you to play your iPod movies and music videos through the dashboard TV screen, so the passengers can enjoy episodes of BBC Countryfile whilst your wafting along. As a works car for my photography business, the XC70 has been a very good match. It's classy enough for me to feel it can hold it's own in an executive car park parade, and classless enough to fit in anywhere else. If you're in the market for a trustworthy old friend with a good strong character, dependable and surprisingly frugal, prices at time of writing range from around £2000 to £7000 in the UK (00-2006 model). Don't avoid higher mileage cars. Just stick to the golden rule; only view XCs which have a fully stamped service book, along with a folder full of fastidiously filed receipts. And an aside is that I test drove several X90s to see if the larger, newer Volvo was an improvement in every way - but the drivers seat isn't a patch on the XC70, and doesn't have the adjustment which I'd loved in my V70. When you know you're going to spend a long time sitting in a car, it's something you really want to be right. I also spoke to several dealers who weren't keen on selling XC90s, saying that they seemed to suffer a lot more 'gremlins' than the more solid, older V70s and XC70s. Whilst we're making comparisons, the XC70 is better than its sibling the V70 in several ways, in my opinion. 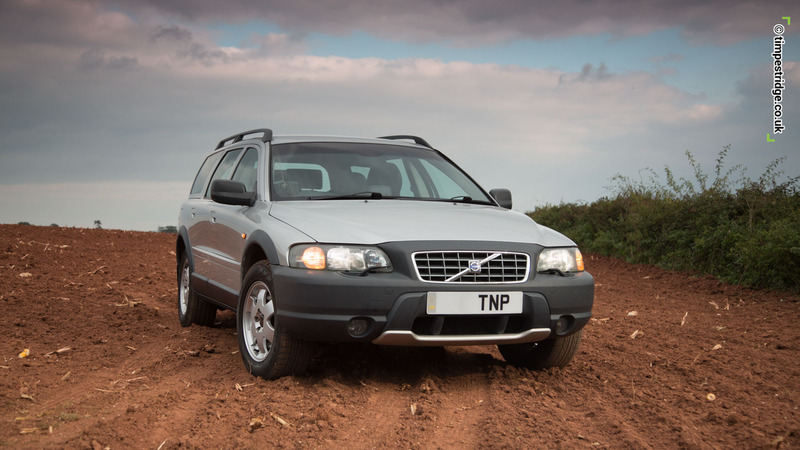 Having owned a V70 I found the rear suspension to be lacking, when fully loaded with people it used to drag it's mudflaps annoyingly, and it's towbar would drop close to the ground. Also, the V70s low profile tires track along ruts in the road alarmingly, and those 17" V70 alloys stand out prominently, so much so that they're the first things to touch a curb when you're parking. In the end I sold the V70, and bought a Honda FRV. Then missed the Volvo, and traded it for this XC70. The only reason I can see me having to move on would be the need for 6 FULL sized seats, when we take the in-laws out. But that step up in seating means waving goodbye to a big chunk of money for the equivalent XC90 or Land Rover Discovery, and <sob> losing my wonderful drivers seat. 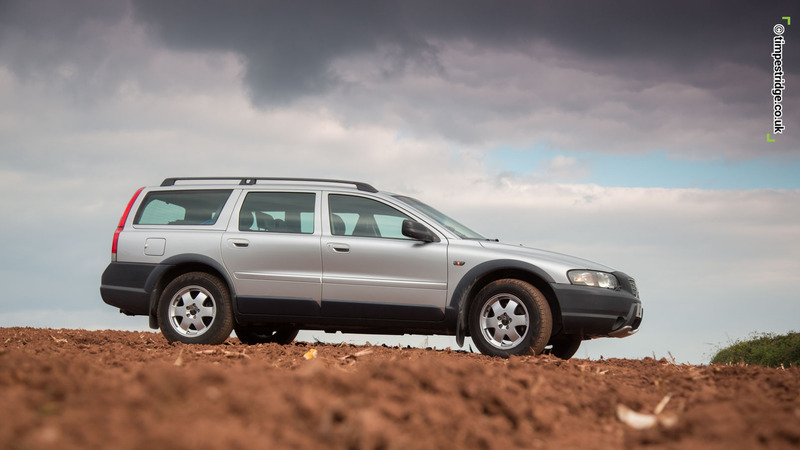 To this old man, the XC70 is one of the last great slab sided Volvos, I'd certainly recommend you get a test drive in one, and get ready to don that wax cotton jacket and a smug, satisfied grin. Because sometimes, as Bond says in Skyfall, 'Sometimes, the old ways are the best'.